Being involved with the Emerging Writers' Festival got me thinking thinking a lot about the books that have inspired me to be a writer. The novels of Nancy Mitford - Yes, it really is hard to single out one. I think they do have to be considered, and read, as a body of work. So, when I decided I wanted to introduce my sister to Mitford's genteel and very funny world, I had to buy her the complete collection of the novels in a paperback re-issue from Penguin. If you were to hold a gun to my head and tell me to pick one, it would probably be The Pursuit of Love. I've said it before and I will say it again: Nancy Mitford is one of the great masters of the English novel, and deserves a lot more serious attention than she gets. The Lucia novels of E. F. Benson - These were, of course, the books that inspired a later generation of comic writers, principally Nancy Mitford, Evelyn Waugh and Noel Coward. Exceedingly camp, excrutiatingly perfect and very, very addictive, Benson is the true master of the English comic novel (forget Wodehouse). 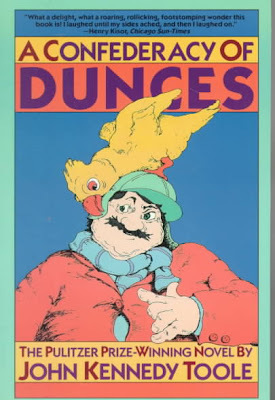 A Confederacy of Dunces by John Kennedy Toole - Ignatius J. Reilly is one of the great characters of American fiction, and this is one of those books that, once picked up, simply cannot be put down. Hilariously funny, bizarre and frequently very sad. I have to be careful with this book, or I'd read it over and over again in the course of a year. The Ballad of the Sad Cafe by Carson McCullers - Probably technically a novella, but I think it's still long enough to sneak in. This is the freak's manifesto, though in McCullers' world the freaks and misfits aren't necessarily the heroes. 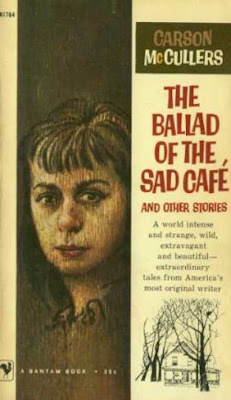 In fact, I adore all of McCullers' work, but I think this is her masterpiece. And Simon Callow's film version is one of the rare cases where the movies is as good as the book. 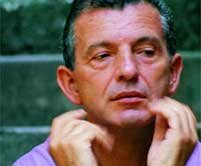 Sodomies in Eleven Point by Aldo Busi - This truly wonderful (homo)sexual romp is Aldo Busi's paean to unbridled promiscuity, most of it taking place in North Africa. Hard to categorise this book, really, but heavens it's good fun. 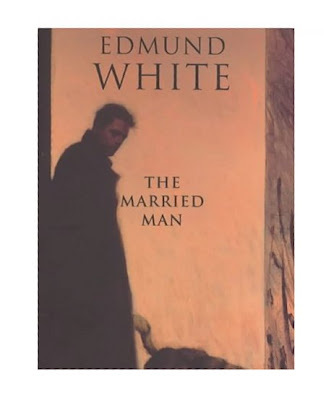 The Married Man by Edmund White - Clearly this is White's masterpiece. A long journey through Paris where a middle-aged gay American falls in love with a married Parisian and they attempt to form a life together. It's actually a good old-fashioned romance, but White has never written as well, before or after. Careful, He Might Hear You by Sumner Locke Elliott - I wrote my Honours Thesis on Elliott, and I have loved this book since I was fourteen. An elegant and unique vision of Australia during the depression era, it is a largely autobiographical account of a young boy whose family is at war over his custody in a time when such things were quite uncommon. Really, really lovely. Elliott should be better remembered than he is, though I was happy to see they did a reissue of this a couple of years ago. Oh wow! 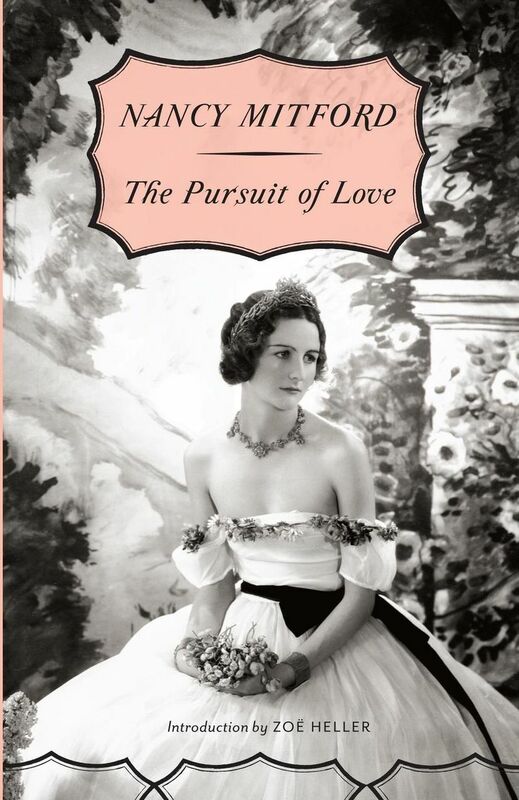 Nancy Mitford's 'The Pursuit of Love' is my favourite novel of all time! So mischievous. Hope your article tempts a few more people to dip into her wonderful writing. The whole Mitford family were fascinating, and Nancy's sister Jessica also wrote some great non-fiction books. I'm glad you're a fan too, Karin! Have you read her biographies - of Voltaire, Frederick the Great and the Sun King? They are all brilliant, and such a fun way to learn history!